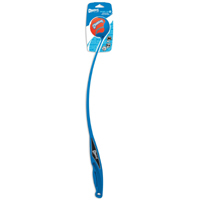 Chuckit Sport 18M dog ball launcher is 2.5" ball compatible. 18 inches long. Made of lightweight, durable plastic. 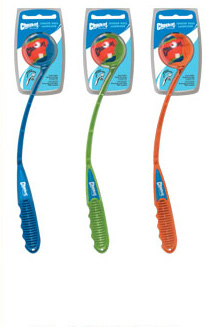 The Chuckit Sport 18M Ball Launcher takes standard tennis balls or 2.5" Chuckit dog balls. Click here for our selection of dog balls.